Ocarina is made to last and to accompany the children throughout their growth, from birth. 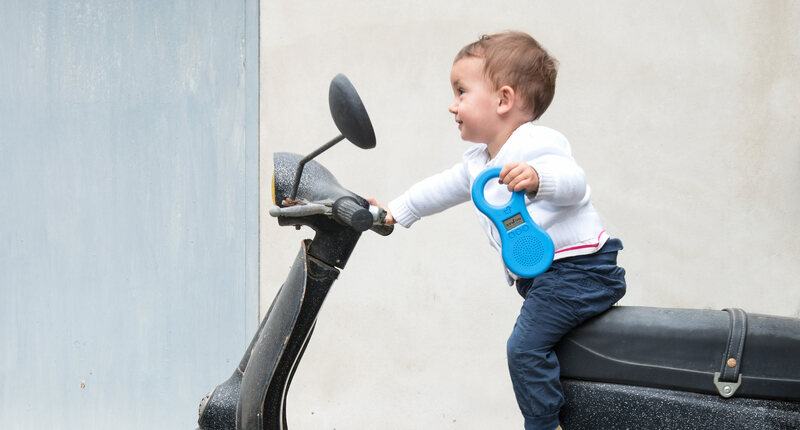 Entirely Made in Italy it is designed and produced in Florence , respecting the maximum level of quality standards, safety, environmental and labour protection. 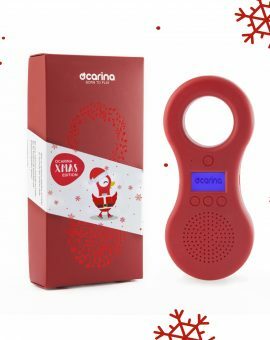 Ocarina is the only music player for children, covered with food grade rubber, with a built-in speaker, ergonomic handle and rechargeable battery. It is available in 4 colours, each one to be discovered . 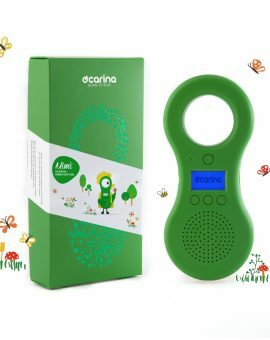 Ocarina respects children's nature encouraging them to perceptual and cognitive level without visual and auditory stress. It does not emit electromagnetic waves or light emissions that are dangerous or unsuitable for children. 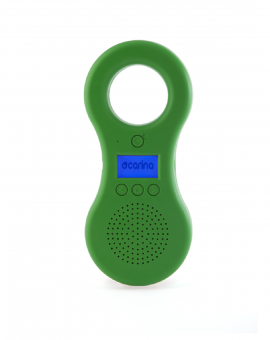 Entirely covered with food grade rubber, Ocarina ensures absolute safety for your children at all times. Soft and silky, is made to be embraced, comforted, mistreated and…bitten. You don’t need to have to read to get everything under control. 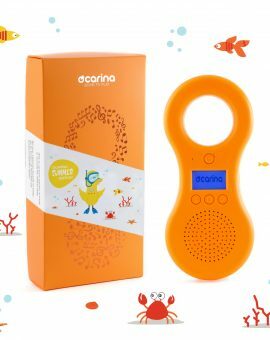 With only 4 buttons you can start and stop playback, adjust the volume, change tracks or playlists, record and access the parental control features. With its 8GB memory holds more than 1000 tracks, as well as 100 minutes of live recording. 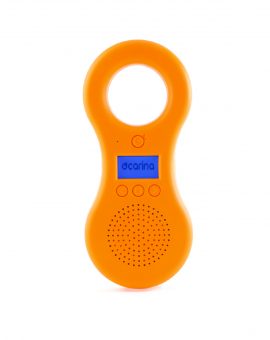 The rechargeable lithium- ion battery enables a duration of over 15 hours and recharges in less than 3 hours. 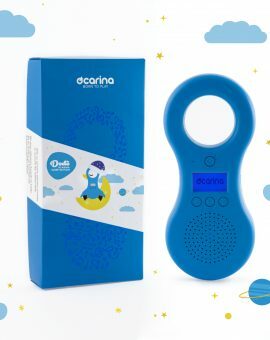 The ideal to help sleep and relaxation of children. Ocarina cradle the little ones with a lullaby or the recorded voice of the mother, always to an appropriate volume. It turns itself off after a set time.